Altun Ha is the site of the ruins of an ancient Maya city in Belize, located about 30 miles north of Belize City The site covers an area of about 5 miles square. The Old Northern Highway connects Altun Ha to Belize’s Northern Highway, and the site is very accessible for tourism, due its close proximity to Belize City. 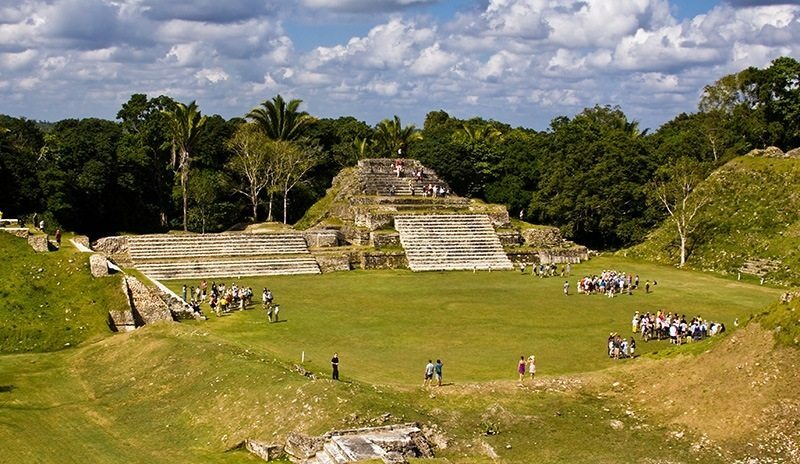 The largest of Altun Ha’s temple-pyramids, the “Temple of the Masonry Altars”, is 16m high. A drawing of this structure is the logo of Belize’s leading brand of beer, “Belikin”.